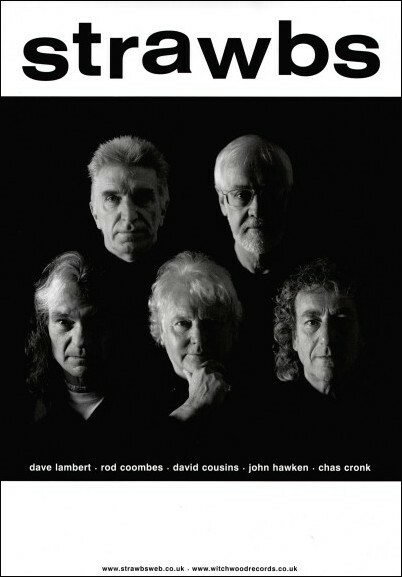 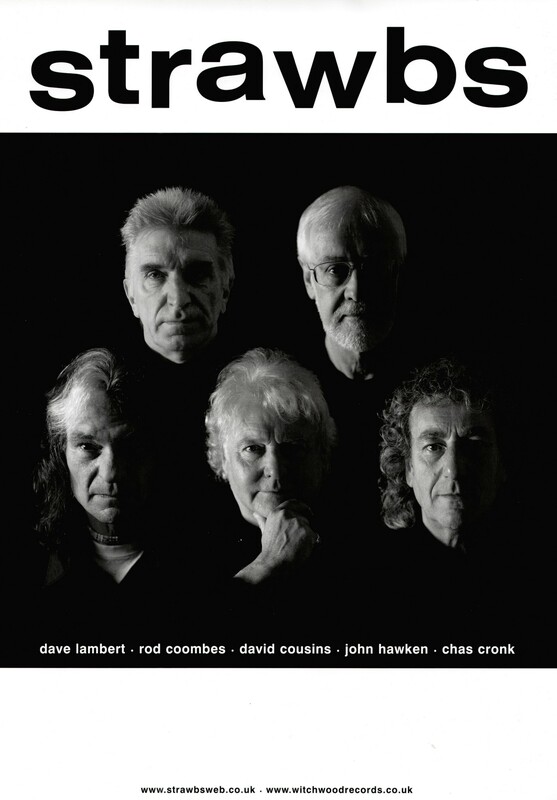 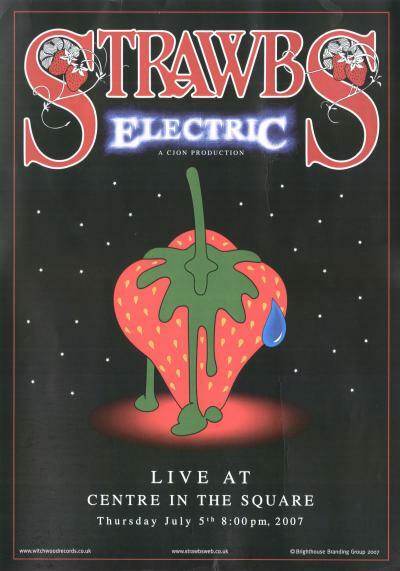 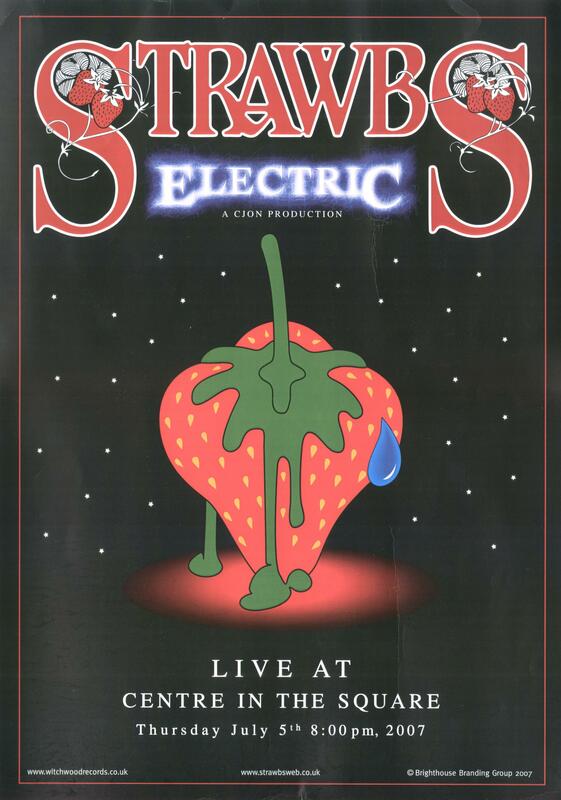 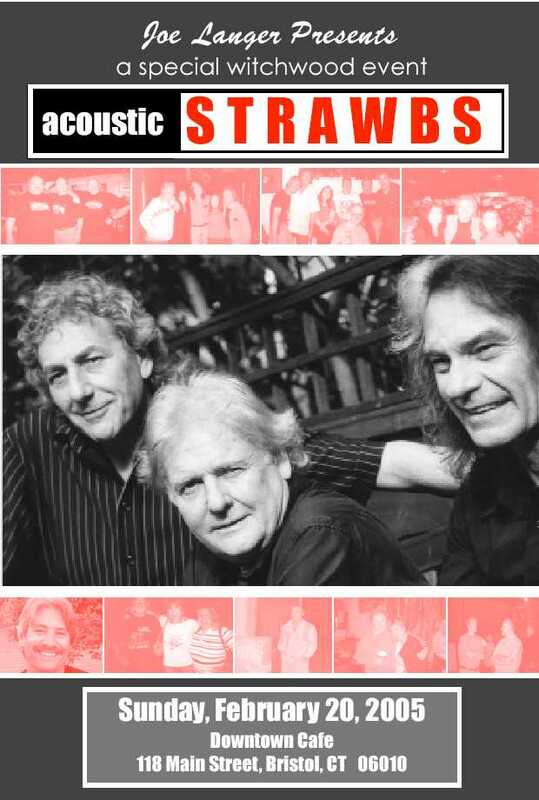 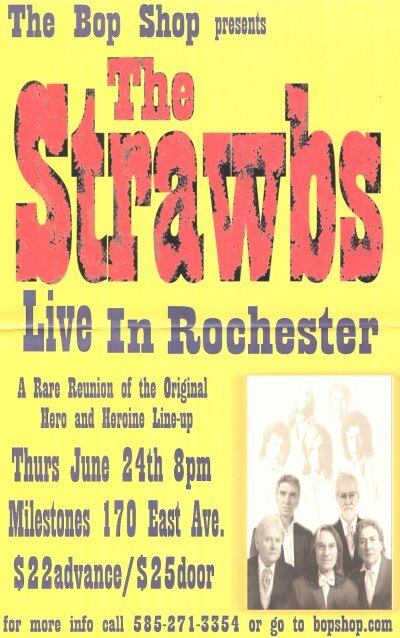 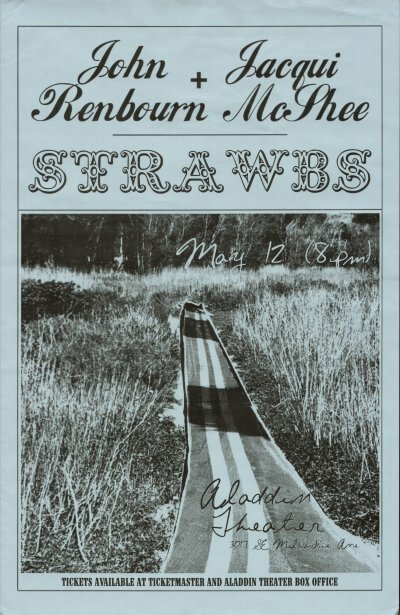 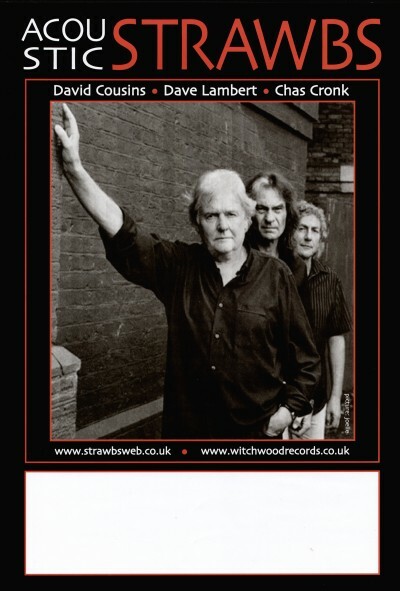 This was the first poster for Acoustic Strawbs - edited down from the photo shoot in Bergen in 1999, cutting out the other members of the electric band. 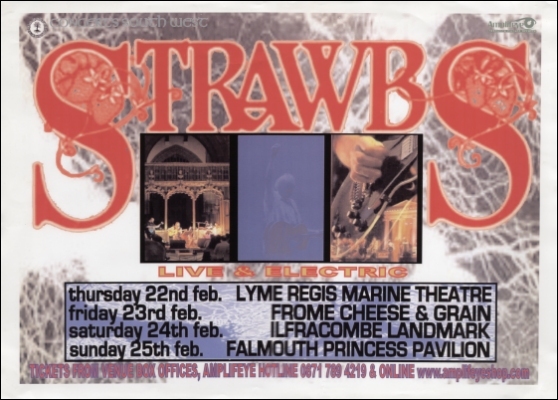 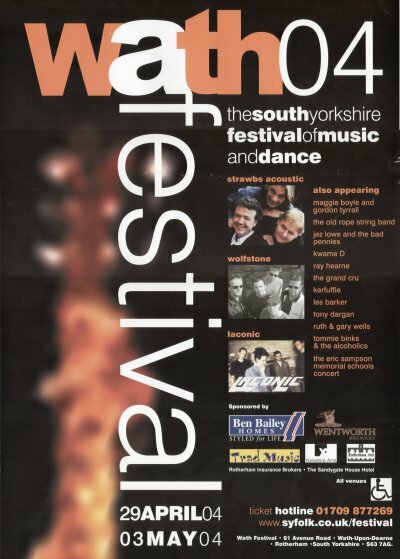 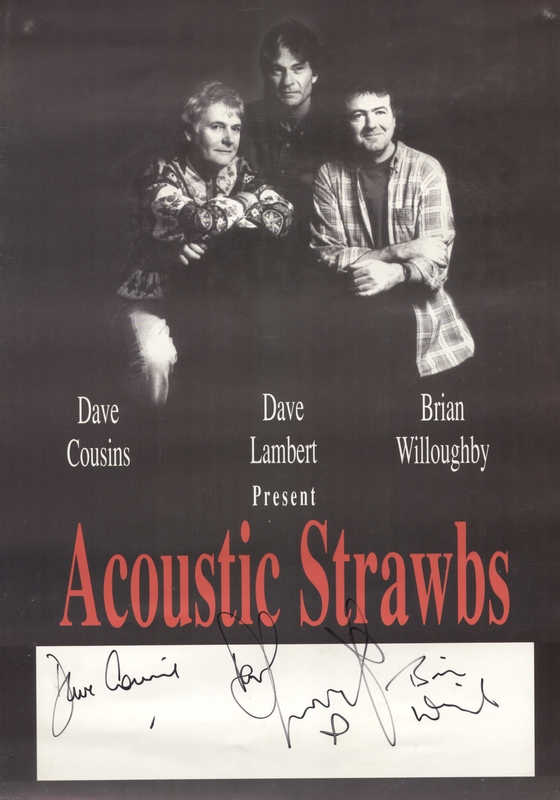 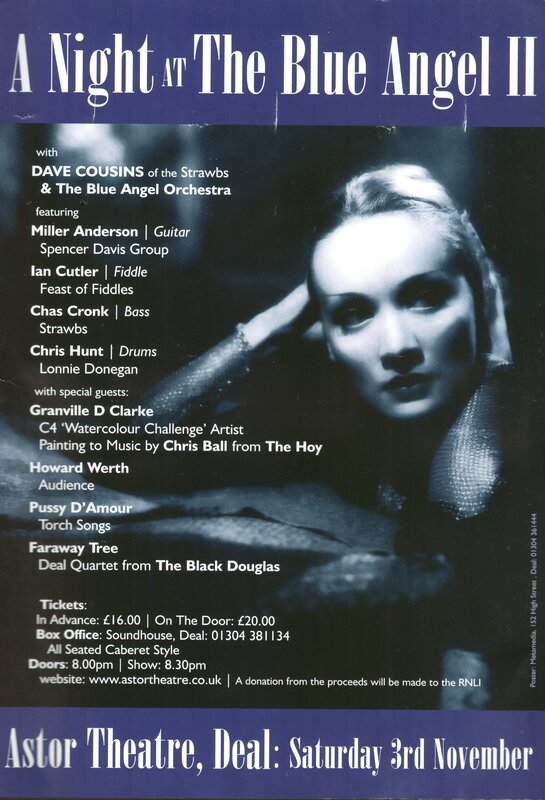 A version of it was used for the ticket to the White Bear launch of Acoustic Strawbs' first album Baroque And Roll. 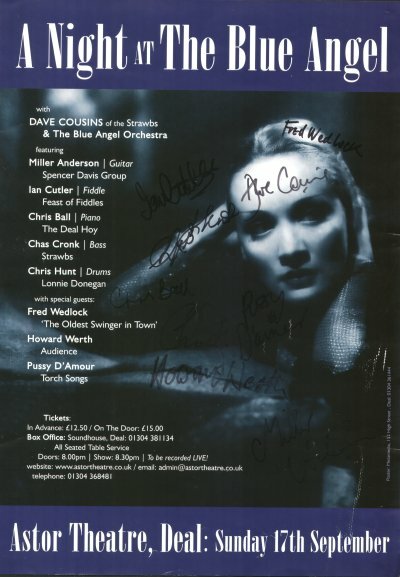 This copy is signed by all three. Dave Cousins passed this on to me - one of their earliest trips as Acoustic Strawbs to Italy, to play at a festival in Bergamo, with a few other dates round it. 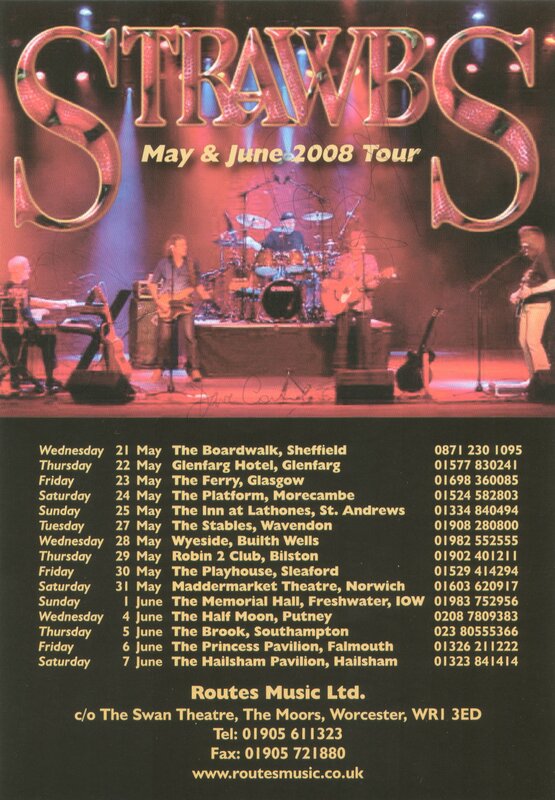 We have a setlist - see tour page. 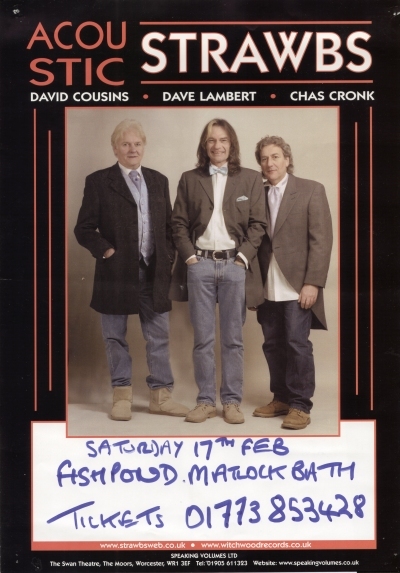 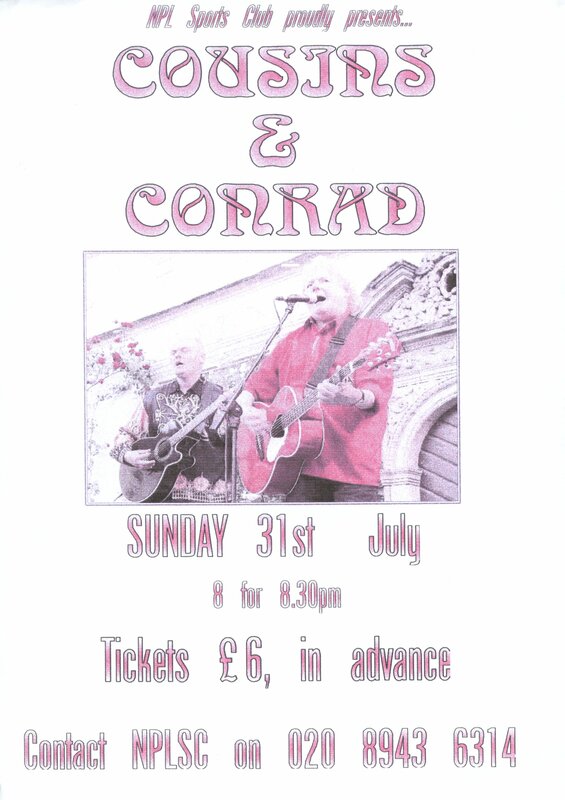 Enthusiastic fan David Mortimer, part of QuayWest Radio, put on this gig in deepest Somerset, notable for Cousins revising the words "on the hoof" to "Out In The Cold" for a performance to a bunch of schoolkids in the front row! 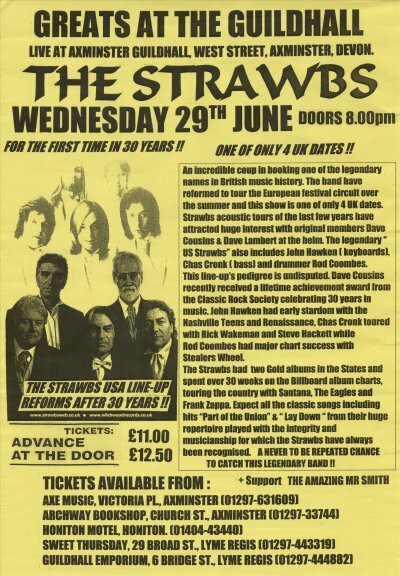 The newly reformed 1974 Electric line-up Strawbs (Cousins, Lambert, Cronk plus Hawken & Coombes) rehearsed at Rochaster and played the first gig of the tour there. 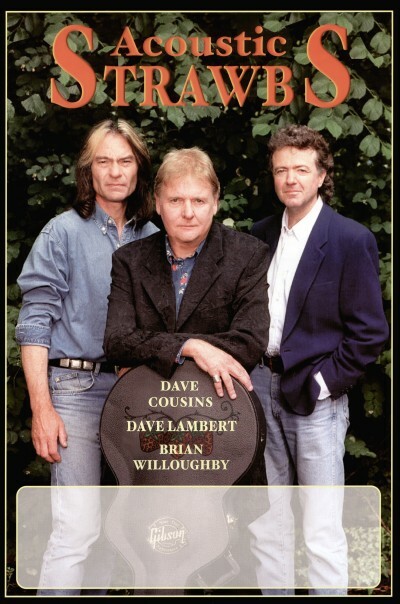 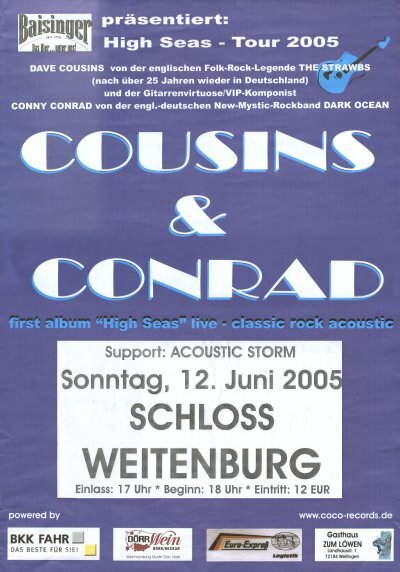 Two very similar versions of the poster, which features the clever retake of the picture on the back of the Hero and Heroine album cover, with the band in formal clothes. 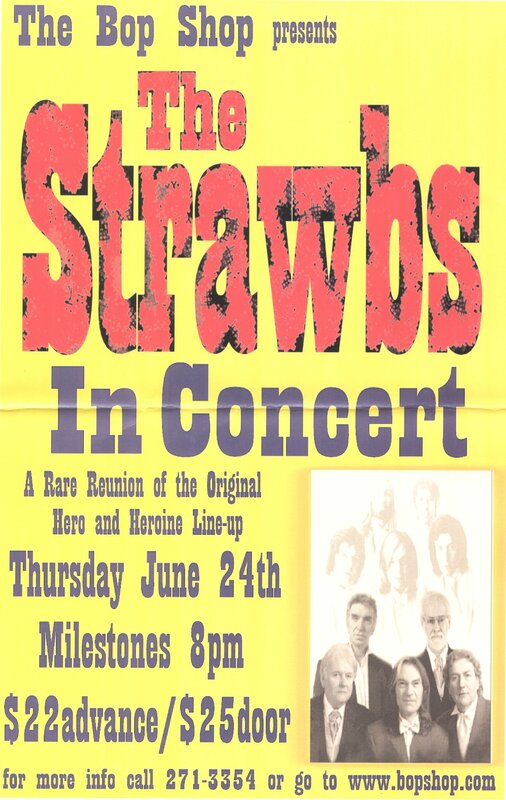 Joe Langer set up a local concert in Bristol, CT - this was the poster. 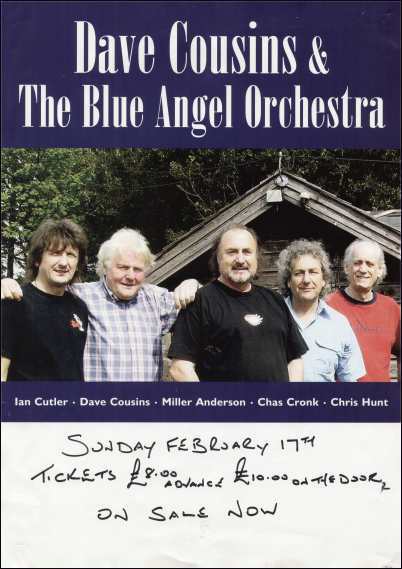 The concert fesatured John Ford, some solo numbers from DC and DL and - uniquely - a solo performance by Chas of his "Starshine" Reviews and pix.